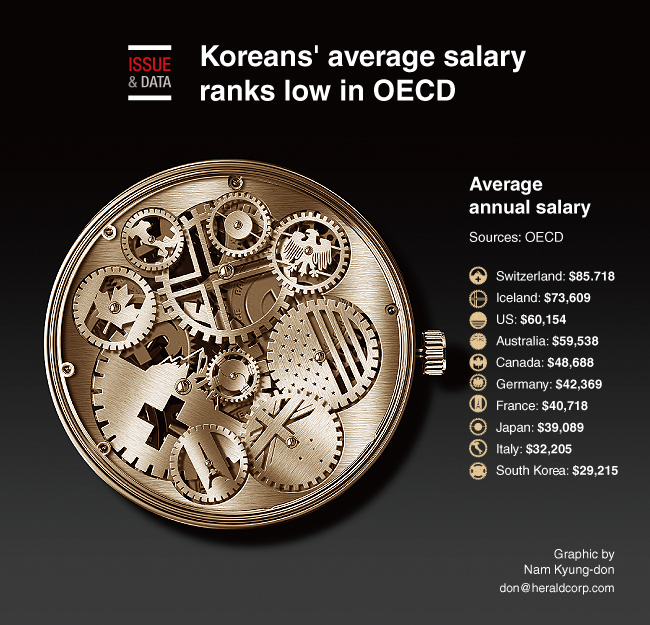 The average annual salary of South Koreans ranked mid to low among major economies last year, with its growth rate over the past six years also hovering below the median, a report said. According to a report by Rep. Park Kwang-on of the ruling Democratic Party of Korea, South Koreans earned an average of $29,125 in 2016, the 23rd-highest among the 34 member nations of the Organization for Economic Cooperation and Development, excluding Turkey. The average growth rate of South Koreans’ salaries was also much lower than the OECD average between 2010 and 2016.